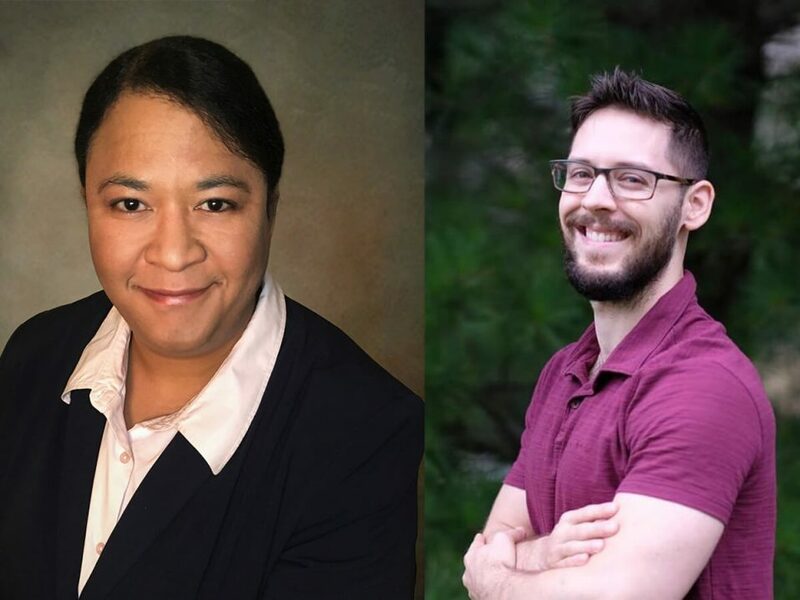 Cranford, NJ—Today, American Atheists announced the hiring of Debbie Goddard as Vice President, Programs and Tom Van Denburgh as Communications Director. Both Debbie and Tom will be based in American Atheists’ Cranford, NJ office. Debbie, an organizer and activist with over two decades of experience, will oversee American Atheists’ organizing, activism, and outreach programs and serve as a senior member of the leadership team. Before joining American Atheists, Debbie served as the Center for Inquiry’s Director of Campus & Community Programs and Director of African Americans for Humanism. During her time at the Center for Inquiry, Debbie created a billboard campaign highlighting black atheists nationwide, coordinated an international campaign on blasphemy laws and free expression, and organized the Women in Secularism 4 conference and the annual CFI Leadership Conference. In addition to her work within the atheist community, Debbie is engaged in LGBTQ activism, civil rights work, and training new organizers in her community. Joining American Atheists as Communications Director is Tom Van Denburgh. Tom is a multilingual communications expert, who has worked in education, press relations, and digital marketing. A native of New Jersey, he spent 6 years living and working in Belgium before returning to the United States in late 2016. Tom will oversee American Atheists’ media relations, marketing, and social media strategies. Tom earned degrees in classics and medieval studies from Wesleyan University, in public relations from the la Haute Ecole de la Ville de Liège, and in translation from the University of Brussels.